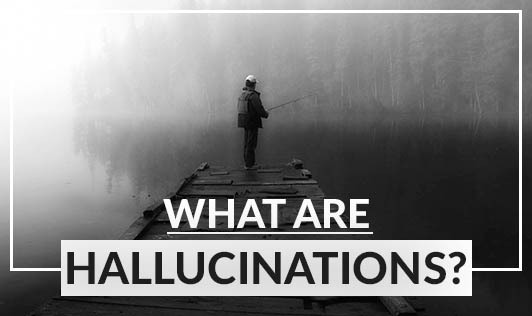 Hallucinations are sensations that appear real but are "created" in one's mind. They can be frightening as they may be unexpected or unwanted. For instance, one might hear a voice that no one else in the room can hear or even see an image that is unreal. They may affect one's vision, sense of smell, hearing or bodily sensations. • Substance abuse: Some people tend to see and hear things after drinking too much alcohol or taking drugs. • Inadequate sleep can also lead to hallucinations. • Medications that are taken for physical and mental conditions also can cause hallucinations. Sometimes, hallucinations may be normal. For instance, hearing the voice of or briefly seeing a loved one who has recently passed away can be a part of the grieving process. If you have hallucinations and you are worried about them, see your doctor immediately! Hallucinations can make one feel nervous and paranoid, hence it's important for you to be with someone you can trust!